The serene and heavenly Marigot Bay in St. Lucia is undoubtedly a destination to be considered if you are seeking relaxation and tranquility in an unspoiled and laid back environment. The stunning beaches, steep adjoining hills, and the deep sheltered harbor give Marigot Bay an aura of a hidden treasure that needs to be explored and enjoyed. Marigot Bay has been described by many including the famous author James Michener as the most beautiful place in the Caribbean. Images of Marigot Bay has appeared in several Hollywood movies such as the 1967 movie Dr. Doolittle. In addition to the natural beauty and ambiance of Marigot Bay, you will see some of the most alluring all-inclusive resorts and restaurants here, and a wide array of activities around the area to keep you busy and entertained when you visit. We will highlight some of these for you! If you are seeking somewhere to stay that provides all the comforts that you need while on your vacation in the paradise called Marigot Bay, there are several resorts available to you. Some of the recommended options are; Marigot Bay Resort and Marina, Marigot Beach Club and Dive Resort, Oasis Marigot, Sandals Regency La Toc, Sandals Halcyon Beach and Bel Jou Hotel. The Marigot Beach Resort and Marina is a 5-star all-inclusive property and one of the most exclusive and beautiful resorts in St. Lucia located in the center of Marigot Bay. This charming resort is located next to the premier marina in St. Lucia, making it the perfect option for yacht owners and boaters from all over the world to stay all year round. The Marigot Bay Resort and Marina include 124 well-appointed guest rooms and suites- there is a room or suite for everyone, whether you just want a room for two or if you want to immerse yourself in the spacious and luxurious penthouse suite with the entire family, it’s all up to you! The resort is also home to three top-notch restaurants that offer a wide array of cuisines to suit all taste buds. The Grill at 14’61’ serves mouth-watering Caribbean cuisine; the Rum Cave provides a dining experience infused with sampling some of the best Caribbean rums in a setting reflecting a colonial rum distillery. The Hurricane Hole Bar and Restaurant is the closest to the Marina and is the most lively of the three restaurants. You can have your favorite drinks here along with lunchtime snacks while admiring the yachts and boats sailing in and out of the Marina. The resort also offers a world-class spa that is well known for its rejuvenating and relaxing options – from massages to a variety of treatments. The spa also includes a steam room jacuzzi and a sauna cabana; this is the perfect place to relax and release the tension while on your vacation in Paradise! The Marigot Bay Beach Club and Dive Resort is a stunningly beautiful resort and is one of St. Lucia’s best kept secrets, the resort is located in a lush and secluded area of Marigot Bay that is only accessible by boat. This 40 room resort is perfect for you if you want to experience life at a slow pace in an exclusive setting away from large hotels. The resort overlooks the alluring Marigot Bay, and you can enjoy the sunset from the veranda of your villa or just take a few steps to the powdery white sand beach and grab one of your favorite cocktails from the Doolittle Restaurant and Bar. The resort boasts a relaxing Spa and is also home to a PADI certified dive center offering a full range of diving courses for all levels of divers. The Oasis Marigot Resort is a cozy and idyllic retreat which is regarded as the resort that gives you the most value for your money in Marigot Bay. The resort includes 12 well-appointed bedroom units and has a beautiful pool for you to enjoy! This property is a perfect place to stay, if you want to enjoy the surrounding activities and amenities available in Marigot Bay but do not want to stay at a large resort. This world-class award winning all-inclusive resort is located just three miles away from Marigot Bay. This resort is home to some of the most opulent suites in St. Lucia and also provides the added value of a 9-hole golf course. Sandals La Toc is located on half a mile of the best beach in St. Lucia giving you ample space to relax and enjoy the beauty of St. Lucia. The resort includes all of 9 restaurants covering Caribbean, Mediterranean, French, Italian and Asian cuisine which is a variety that is hard to match at any other property in St. Lucia. The award-winning Red Lane Spa at Sandals La Toc is another option available to you at this top-notch property. When you stay at Sandals La Toc, everything is included, so if you so desire, you do not have to leave the property at all! The Sandals Halcyon Beach Resort is located just 5 miles away from Marigot Beach in St. Lucia. The resort lies in the middle of a lush tropical haven where majestic palm trees line the beach, and the backdrop is a stunning verdant mountain range. Sandals Halcyon is the perfect place to enjoy a relaxing all-inclusive vacation near the beautiful Marigot Beach. It is definitely an option to consider when planning a Marigot Bay vacation. Bel Jou Hotel located in the scenic town of Castries, less than 6 miles away from Marigot Bay is a 4-star all-inclusive adult only resort that captures the essence of St. Lucia in the design of the rooms and the warmth of the staff. The resort offers two restaurants, three bars, a fitness center, Spa and two swimming pools. There are also several options for excursions to some of the most beautiful sites in and around the Marigot Bay and Castries regions of St. Lucia. Marigot Bay offers several fun activities to the discerning traveler. Whether you prefer water-based or land-based activities, there are plenty of options available to you. Here are some of the most exciting things to do in and around Marigot Bay St. Lucia. This is an exhilarating scenic climb to a height of over 2000 feet to one of St. Lucia’s natural treasures the Gros Piton. You will be guided by a knowledgeable and friendly guide who will tell you all about the history of the Pitons and ensure that you have no issues maneuvering the terrain. This scenic tour ends with a tasty picnic for lunch when you get to the top. Take a trek up the Marigot Ridge Trail located across the bay and see some spectacular sites such as Pitons, views of all the resorts in the area and the beautiful Caribbean Sea. This climb gives you the opportunity to see the natural beauty of Marigot Bay first hand. If you seek some thrill and excitement, ziplining through the Marigot Bay Rainforest might be something that you want to do. You will glide through the rainforest, stop for a traditional Creole lunch at a French colonial wooden home and then zip line to the end. This activity is suitable for the entire family. 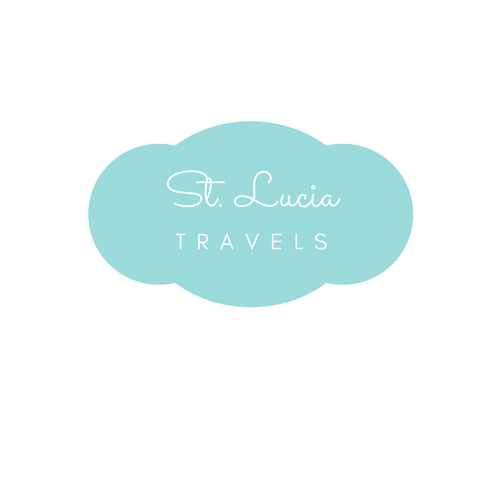 The Caribbean Islands are known for their quality rum and St. Lucia is no different. St. Lucia has been producing top quality spiced wine for centuries, and a tour of the lone rum distillery in Marigot Bay will give you some perspective on rum production in St. Lucia. You will also get to taste some of the different blends of aged rums produced on the island! One of the best ways to experience Marigot Bay is by Sea and taking a Catamaran Cruise is a thrilling way to do so. You can choose to have your cruise in the morning or do the romantic sunset Piton Cruise. Another way to enjoy Marigot Bay is to take a fishing trip. You will be taken out on the serene Caribbean Sea by a local guide who knows all the best fishing spots and then you will be taught local techniques to snag your best catch ever! You will have so much fun doing this! Marigot Bay presents you with tremendous opportunities for snorkeling and scuba diving due to the sheltered harbor and presence of some of the most pristine marine reserves in St. Lucia. It is one of the most popular places for scuba diving in St. Lucia. If you enjoy seeing beautiful underwater flora and fauna in an unspoiled environment, the place to scuba dive is Marigot Bay! Kayak across the calm waters of the Rosseau River with the guidance of a local instructor. You will stop at a banana plantation and explore and then kayak to the mouth of the Rosseau River. This experience allows you to live like a local for a couple of hours! There are so many beautiful places to visit in St.Lucia and Marigot Bay is just one of them. I really hope you enjoy your stay on our lovely island and we would love to hear all about your time there. This looks amazing! The pictures are so beautiful!